Zinc Gluconate is a zinc salt of gluconic acid, an essential mineral important in cell division. Zinc Gluconate supports wound healing and can treat and prevent acne as well as help inhibit new acne scaring. 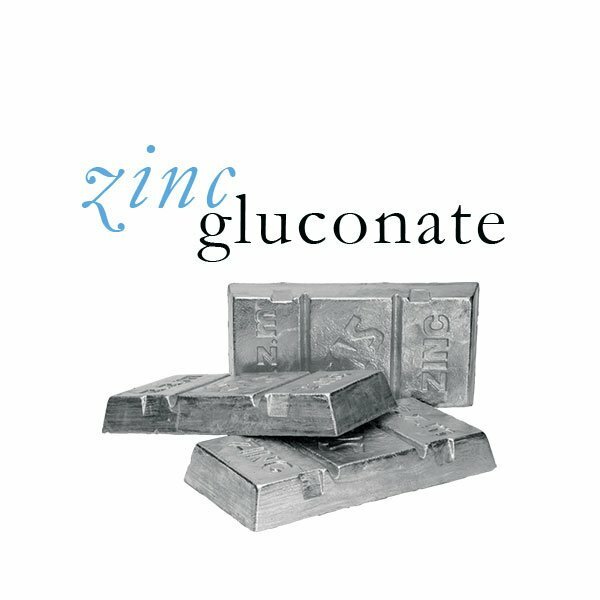 In skin care formulations, Zinc Gluconate is often used to help cleanse skin due to its antibacterial and antimicrobial properties. These same properties also hinder the deterioration of cosmetic formulas, keeping products fresh for longer periods of time.